Some skincare products are meant to be savored, indulged in on special occasions, and even then, only sparingly. Other skincare products demand to be slathered on, rubbed in and applied daily, becoming more of a beloved, indispensable ritual than mere product application. Beautycounter’s Lustro Rose Neroli Body Oil is both. Beautycounter’s Lustro Rose Neroli Body Oil is a luxurious après bain (or after-shower if you prefer) treat. The scent is subtle and natural. In fact, wearing it sometimes seems like a beautifully scented secret, shared only by you and those you allow close to your skin. Rose Neroli Body Oil has a full, rich rose aroma. It is slightly earthy and invigorating, possibly due to the rosemary leaf extract. It is also sweet and fresh. Those latter two notes combine with the rose aroma to form a harmonious, intoxicating floral scent that is subtly soapy, and very clean and natural. 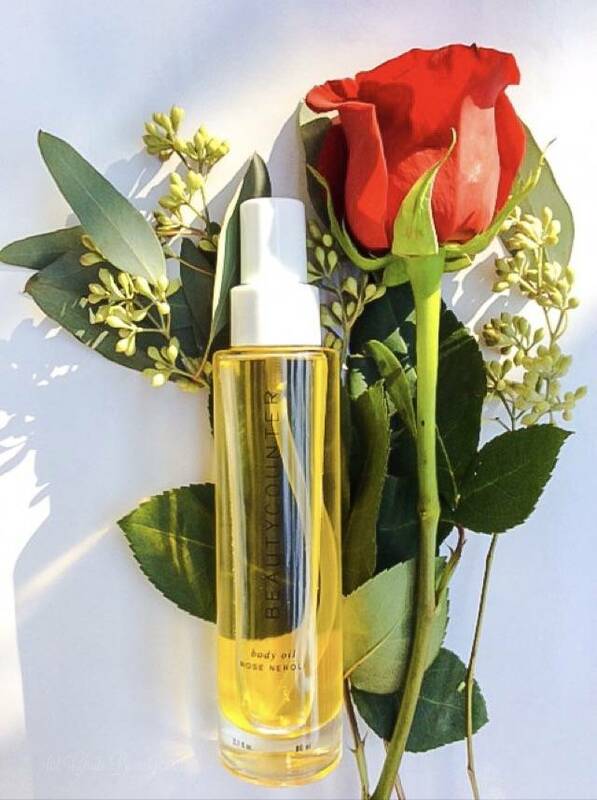 The aroma of Beautycounter’s Rose Neroli Body Oil is as much a delight to smell as its texture is a pleasure to touch. 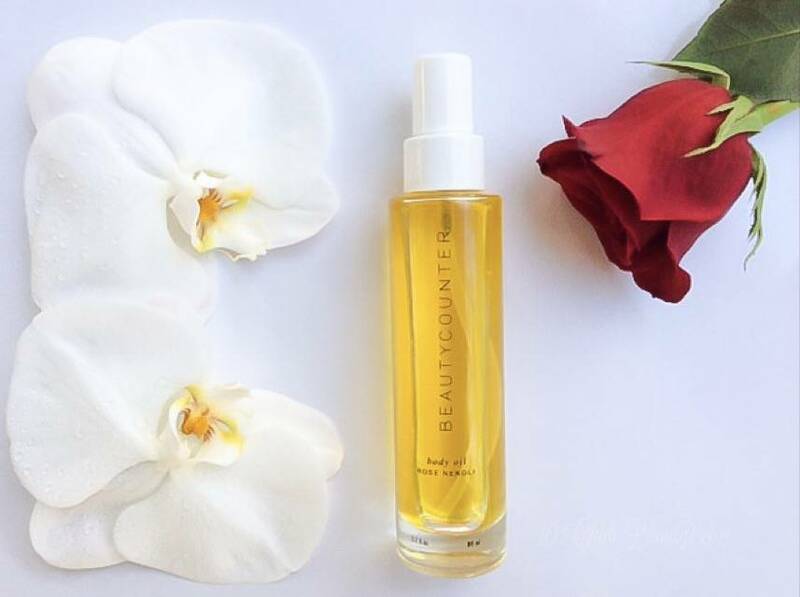 Beautycounter’s Rose Neroli Body Oil is emollient, lightweight and absorbs easily. It is non-greasy, but leaves a pretty sheen on your skin. To get the most from this body oil, and make sure that it locks in as much moisture as possible, apply a few pumps directly to your skin immediately after a bath or shower. Rub it in well, then towel dry. This will leave you with perfectly moisturized, lightly scented skin. Stop there and wear this body oil alone during the warmer months; or layer it underneath your favourite body butter when temperatures are colder. Unfortunately, this product is not currently on Beautycounter’s website, but I do hope they offer it for sale again someday. 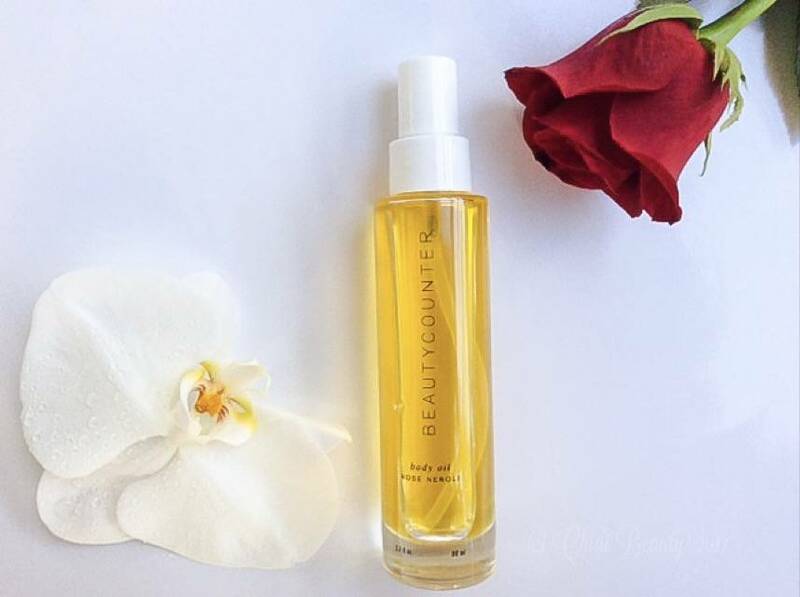 Normally, the full size 2.7 fl.oz/80mL bottle of Beautycounter’s Lustro Rose Neroli Body Oil retails for $78.00 USD. Because I obtained this body oil through my Beauty Heroes subscription box, the full size bottle cost me, and all subscribers, $39.00 in February 2016. 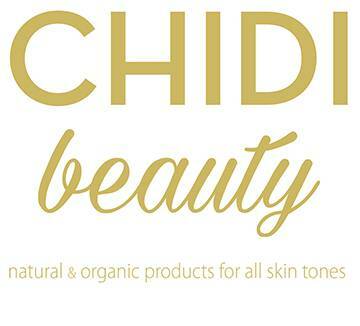 Beauty Heroes then offered this product a second time, in May 2016, and I jumped at the opportunity to snag another bottle at the discounted price. Would I buy this body oil for the full price? Reluctantly. I’ve grown accustomed to the $39.00 price tag, which makes this body oil a great buy at a great value. But in a world of $300.00+ serums and equally expensive bath & body products that are full of mineral oil and cheap fillers, Beautycounter’s Lustro Rose Neroli Body Oil is still a worthwhile buy at $78.00. 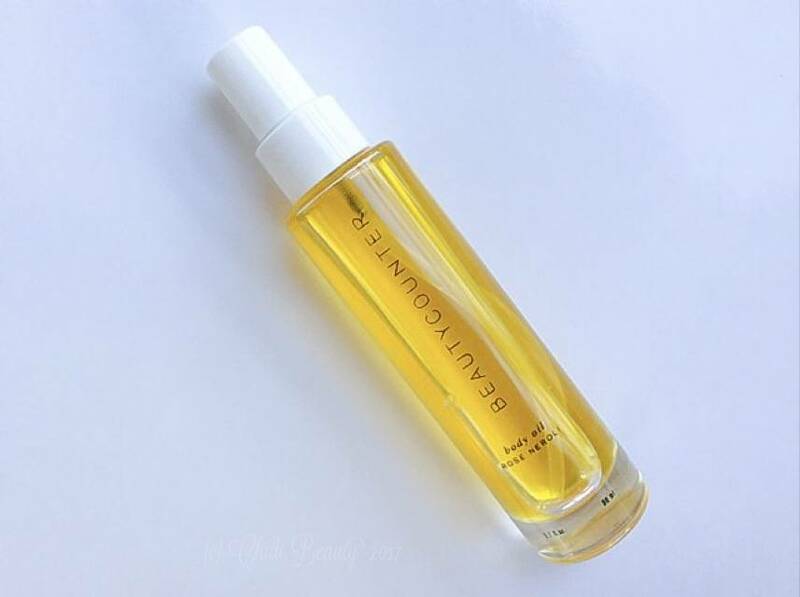 Let’s hope that Beautycounter restocks this product so that we have the opportunity to buy it again, and indulge in the delicate, faintly scented luxury that is Lustro Rose Neroli Body Oil. Do you have a favourite body oil or body serum? Is it an everyday staple or a treat that you save for special occasions? Don’t keep it to yourself – share, by letting us know in the comments section below!